THEFAF ALRAFIDAIN Co. Has Been Awarded The Contact By General Directorate For Water Supply. 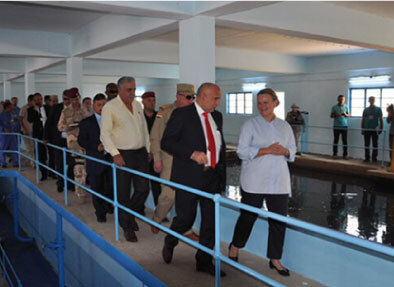 This Project Is Located In Mosul City And Serves More Than Thirty Quarter In The Left Side In Mosul Where It Provide Them With Drinking Water. 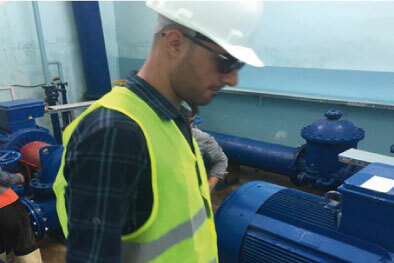 The Work Included All Renovation For Civil Work, Mechanical Work Supplying And Installing 15 High Lift Pumps 13,000m3/H, SUBMERSIBLE PUMP Six 6000 M3/H, Low Lift Pumps Four Q= 4,000m3/H, Suction Pumps Four Q= 50m3/H ,Chlorination System, Alum System And All Valve Check Valve, All Electric Works (Main Boar, Switch, Cable, Board For Pumps , And High Voltage Board And Change Over).